To encourage the design and construction of energy-efficient buildings that reduce air, water, and land pollution and environmental damage from energy production and consumption. The requirements apply to 90% of the total building floor area (rounded up to the next whole building) of all nonresidential buildings, mixed-use buildings, and multiunit residential buildings four stories or more constructed as part of the project or undergoing major renovations as part of the project. Each counted building must comply with one of the following options. Demonstrate an average improvement of 5% for new buildings, 3% for major building renovations, or 2% for core and shell buildings over ANSI/ASHRAE/IESNA Standard 90.1–2010, with errata (or a USGBC-approved equivalent standard for projects outside the U.S.) across all buildings pursuing Option 1. Multiple buildings may be grouped into a single energy model, provided (1) the building type (new construction, major renovation, or core and shell) is consistent for all buildings included in the energy model, or (2) an average 5% improvement is demonstrated for the entire energy model. Calculate the baseline building performance according to ANSI/ASHRAE/IESNA Standard 90.1–2010, Appendix G, with errata, using a simulation model. Buildings must meet the minimum percentage savings before taking credit for renewable energy systems. comparison against a baseline building that complies with Standard 90.1–2010, Appendix G, with errata (or a USGBC-approved equivalent standard for projects outside the U.S.). Document the energy modeling input assumptions for unregulated loads. Unregulated loads should be modeled accurately to reflect the actual expected energy consumption of the building. If unregulated loads are not identical for both the baseline and the proposed building performance rating, follow the exceptional calculation method (ANSI/ASHRAE/IESNA Standard 90.1–2010, G2.5) or use the COMNET modeling guidelines and procedures to document measures that reduce unregulated loads. Comply with the mandatory and prescriptive provisions of ANSI/ASHRAE/IESNA Standard 90.1–2010, with errata (or a USGBC-approved equivalent standard for projects outside the U.S.). ASHRAE 50% Advanced Energy Design Guide for Large Hospitals. For projects outside the U.S., consult ASHRAE/ASHRAE/IESNA Standard 90.1–2010, Appendixes B and D, to determine the appropriate climate zone. Comply with the mandatory and prescriptive provisions of ANSI/ASHRAE/IESNA Standard 90.1–2010, with errata (or USGBC approved equivalent standard for projects outside the U.S.). Comply with Section 1: Design Process Strategies, Section 2: Core Performance Requirements, and the following three strategies from Section 3: Enhanced Performance Strategies, as applicable. Where standards conflict, follow the more stringent of the two. For projects outside the U.S., consult ASHRAE/ASHRAE/IESNA Standard 90.1-2010, Appendixes B and D, to determine the appropriate climate zone. To be eligible for Option 3, the project must be less than 100,000 square feet (9 290 square meters). Note: Healthcare, Warehouse or Laboratory projects are ineligible for Option 3. 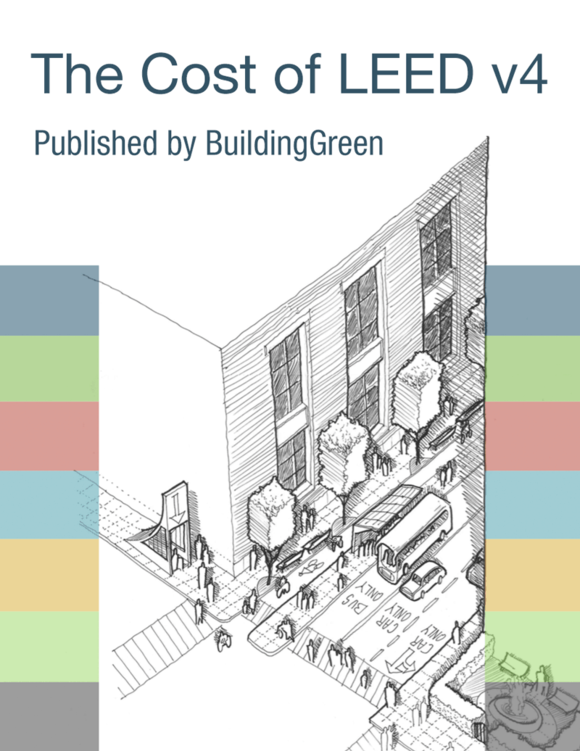 For new single family residential buildings and new lowrise multifamily buildings, 90% of the total building floor area must meet the requirements of LEED for Homes v4 EA Prerequisite Minimum Energy Performance.